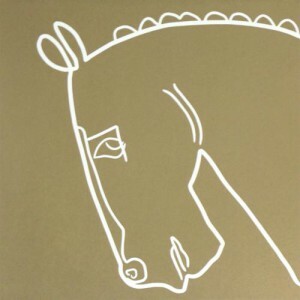 My Bronze Horse linocut is published this January 2017 in ‘Chalk Hills White Horses’ by Angus Haywood. This coffee table book features photographs by Angus Haywood of chalk figures in the English landscape side by side with artists’ and printmakers’ work including that of Eric Ravilious. My Bronze Horse is shown in conjunction with the Westbury White Horse, Wiltshire. Photographic narrative of southern England’s rich landscape from Angus Haywood Some authors hone their storytelling skills with language and literature.